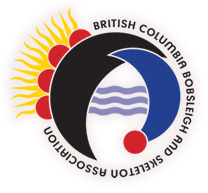 The provincial organization governing the sports of bobsleigh and skeleton in British Columbia. BC Championships - Bobsleigh and Skeleton this weekend. Official training runs this evening at 7:45. Then a four heat race takes place with 2 heats on Saturday and 2 heats on Sunday. Races begin on Sat morning at 10:30 am. Repeat on Sunday at 10:30 am. Admission is FREE... so come on out for a taste of the excitement and cheer on the sliders on the "fastest bobsleigh and skeleton track in the world!" More than 30 sleds will be taking part in this weekends races! So you are interested in the sports of bobsleigh and skeleton, and would like to get involved. But where do you start? Use the links below to find out how to get in on the action.